Happy Friday!! I hope you all had a good week! 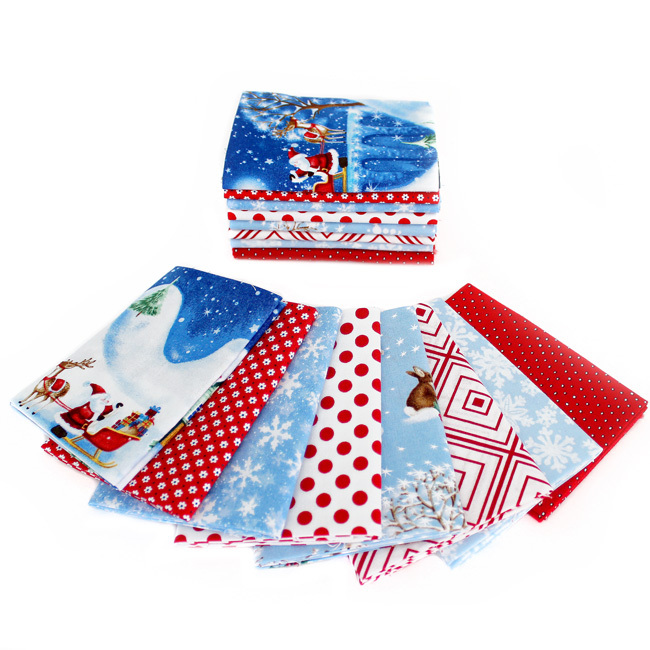 We have a lovely Christmas bundle of fabric to share with you today. I had a lot of fun with this festive bundle! 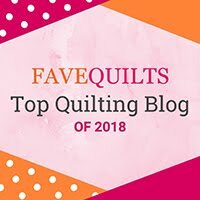 Be sure to scroll down to see what I made! This week's bundle is called Santa's Village and features a sweet scenic Santa print from P&B Textiles! 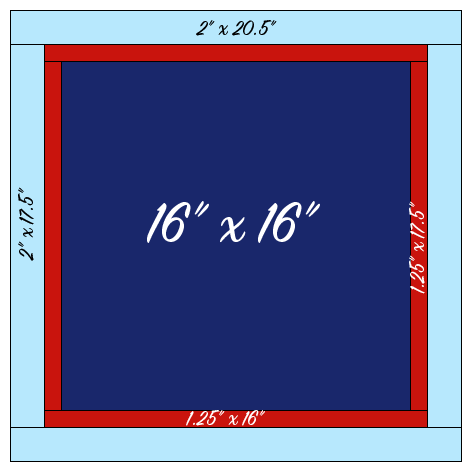 Red, white, and light blue coordinates are included. 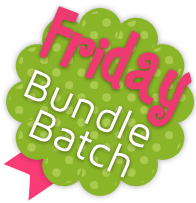 This bundle is so charming! 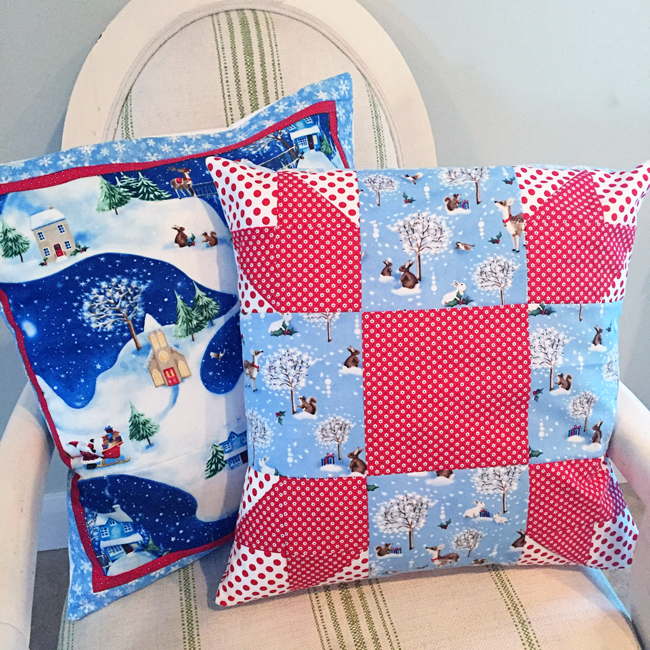 I loved sewing up these pillows! I decided to make two different pillows to showcase all the fun prints in this bundle! 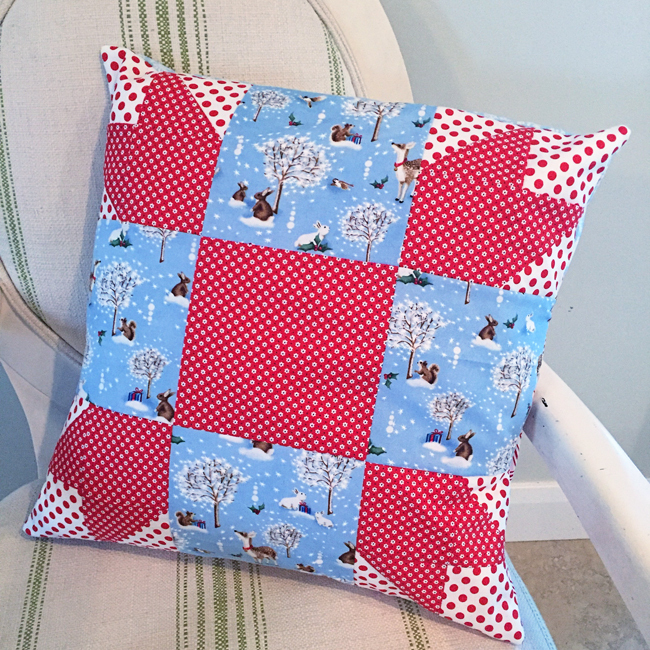 To make both pillows I used a fat quarter bundle. The first pillow I made I wanted to feature the cute winter print and I thought this pattern would really do that! You can find the tutorial here for this pillow! I did change mine up a bit - by not not adding the corner square triangles on the blue prints because I wanted to keep those pieces whole to really showcase the cuteness of the print! Out of blue snowflake: 2 - 2" x 17.5" strips and 2" x 20.5"
Instructions: Start with the red border. Sew the left and right strip (1.25" x 16") on and press. Then add the top and bottom strip (1.25" x 17") and press. Now sew on the light blue border: Sew the left and right side strip (2" x 17.5") and press. Then add the top and bottom strip (2" x 20.5") and press. 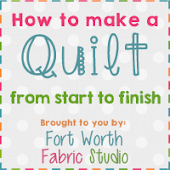 Then use this tutorial to make it into a pillow! 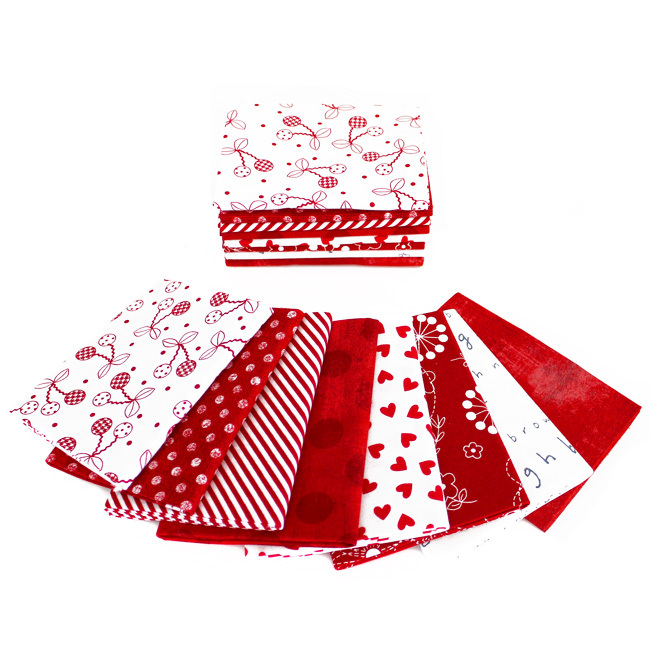 This is such a cute fabric bundle! 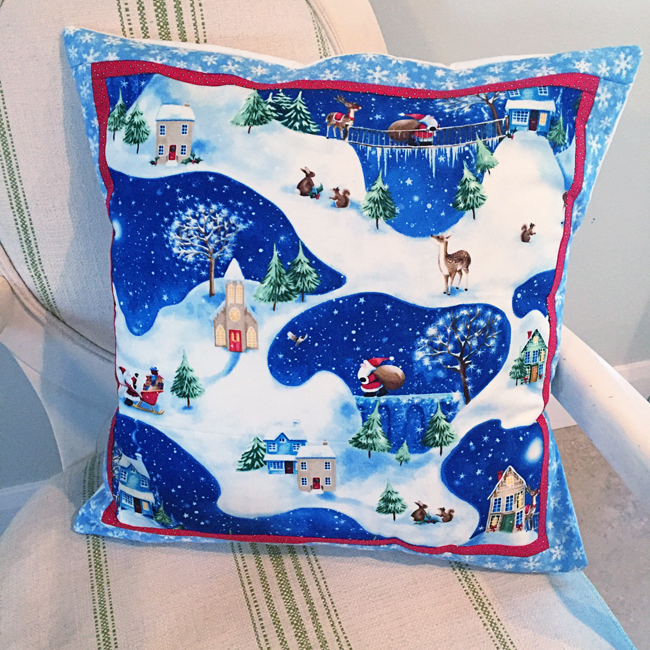 I love making Christmas pillows. I love the Christmas cushions.